Working with alcohol advice charity HAGA to develop new ways to engage Islington residents in conversations about their drinking behaviour. Islington has some of the highest levels of alcohol related hospital admissions in London, with certain groups such as older men living in deprived areas particularly at risk. 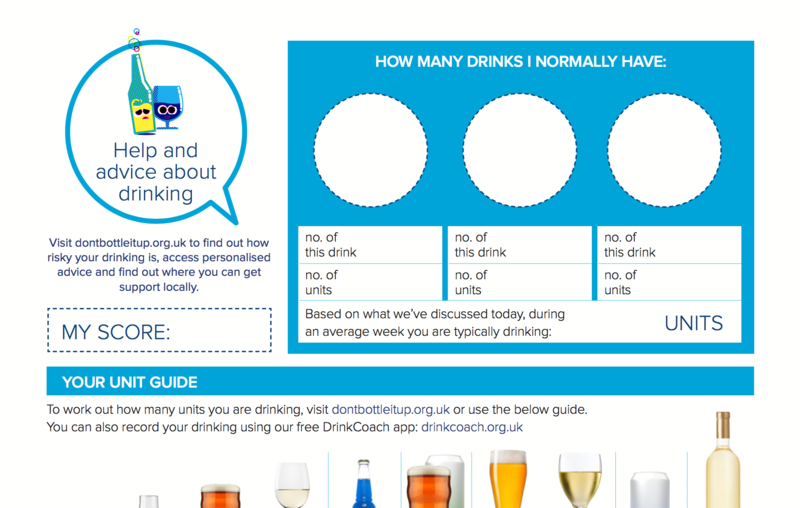 There is strong evidence of the effectiveness of an ‘Identification and brief advice’ approach but it can be very challenging to get people to engage in a discussion about their drinking, with defensiveness and denial characterising many people’s responses. Using on-street interviews we were able to identify 5 different groups of increasing risk drinkers and pinpoint the most effective ways to approach each group. Using the insight we’d gained from the research and a broader study of the evidence, we facilitated a workshop session which employed behavioural tools to the challenge of finding and engaging 3 priority target audiences: “Pub Natives”, “Youthful revellers” and “Middle-aged indulgers”. We then refined the thinking from the workshop to develop a series of strategic recommendations for optimising HAGA’s engagement programme as well as detailed ideas of where and how to engage each audience. HAGA and Islington Public Health are now working together to implement our findings and have already made changes to the materials they distribute. Camden Public Health are now exploring using similar methods too.